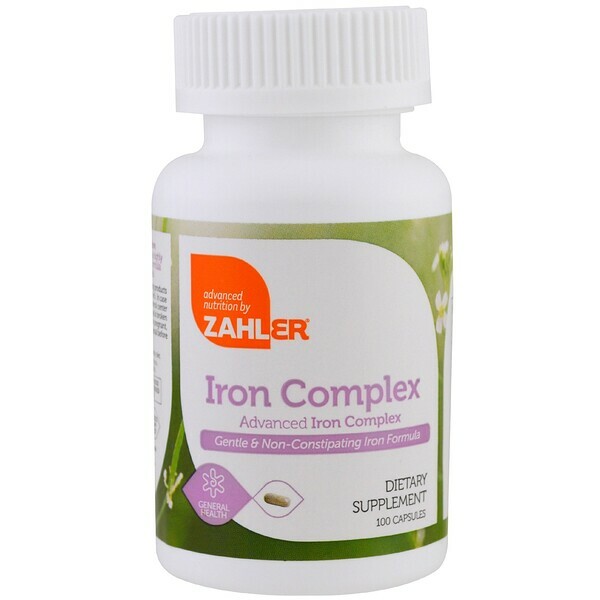 Zahler's Advanced from Complex is a highly bio-available, non-constipating formula using the finest iron available. 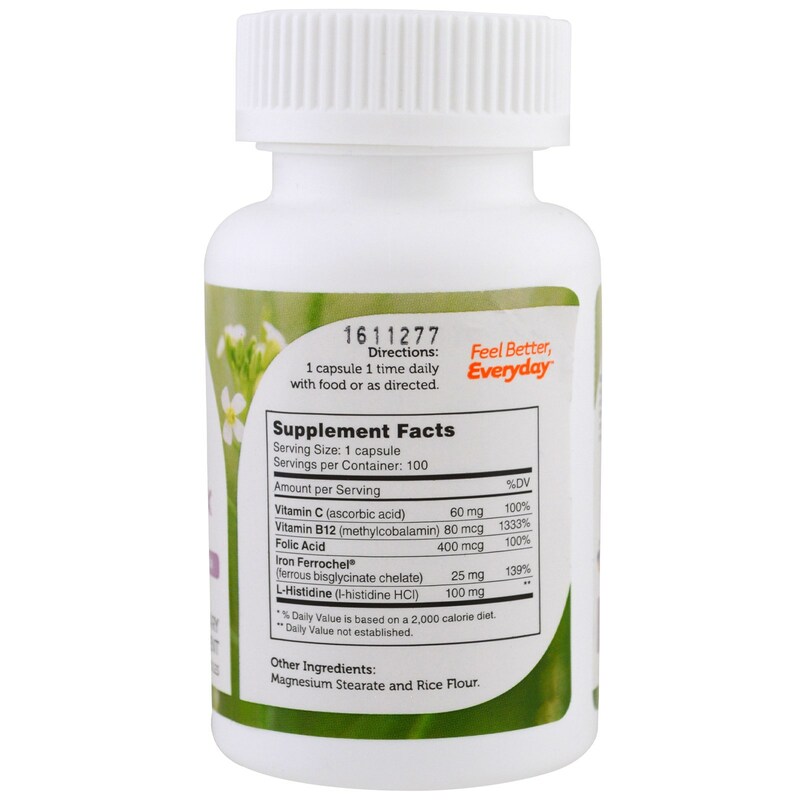 1 capsule 1 time daily with food or as directed. 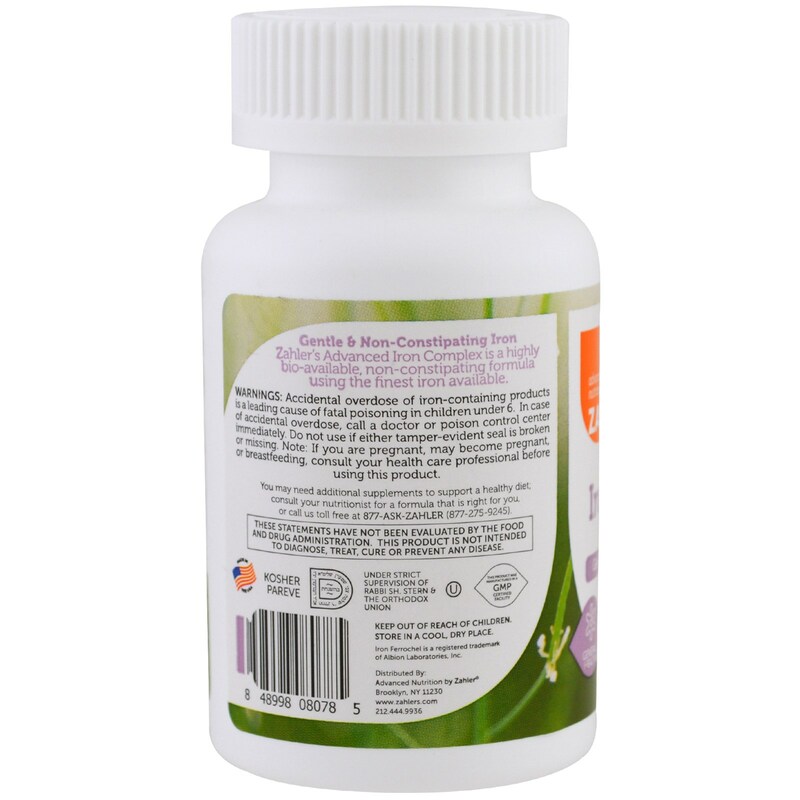 Magnesium stearate and rice flour. Accidental overdose of iron-containing products is a leading cause of fatal poisoning in children under 6. In case of accidental overdose, call a doctor or poison control center immediately. Do not use if either tamper-evident seal is broken or missing. Note: If you are pregnant, may become pregnant, or breastfeeding, consult your health care professional before using this product.